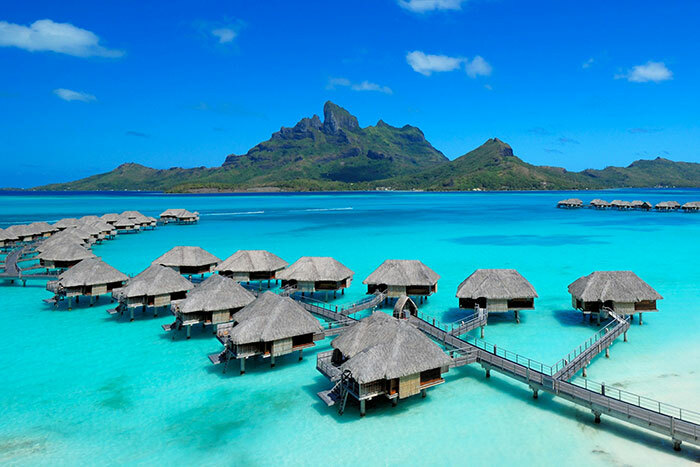 If you can’t afford a $5,000 trip to Bora Bora, here are the next best gifts. Your friends would still prefer the Bora Bora trip, just sayin'. Wondering what to gift your favorite travelers this holiday season? I've made my picks with the help of other travel professionals and frequent fliers, who have collectively traveled millions of miles in the last few years. The enthusiastically-sounding GRID-IT! is one of my favorite organization tools. The grid of elastic bands helps you securely hold and arrange (and rearrange) everything from headphones and pens to bundles of cables and medicine bottles. They start at just $10, which means you can get one for your favorite traveler friend and one for you. You know, in the off-chance he gifts you something not quite as useful. I seem to be the only person that ever packs one of these into my bag when traveling. On every single road trip that I've been on, my iOttie Easy One Touch 2 has been simply indispensable (along with a phone charger). I genuinely believe that the more people buy one of these things, fewer people will fumble around with their phones while driving, and fewer accidents will happen and more lives will be saved. I think. It's a widely accepted scientific fact that a world map is the best-looking thing you can put up on a wall. However, your globetrotting friends world probably run out of pins after all their travels. They won't be having that problem with this Scratch-Off World Map. The map comes with all the countries covered in gold foil that scratches off to show off where they've been. The TravelCard is probably the most useful thing I carry in my pockets. When I'm out exploring a city during my travels, I've never had a day when my iPhone lasted from morning till night. This USB battery is quite unbelievably the size of a credit card (albeit a fat one) and it holds about 50% charge. Now, that isn't a lot, but this battery has legitimately saved me on countless occasions when I absolutely needed to call for an Uber home/search for directions on Google Maps/send an important text/post that Instagram photo. If you're ever been stuck in a hotel room with no entertainment, or rented a car with a broken stereo system, or found yourself at a summer pool party that wasn't properly thought out, having a portable Bluetooth speaker can instantaneously brighten up your vacation. The UE Roll 2 is easily the best for the job. It sounds better and plays louder than other [read: more expensive] speakers, plus it has a slim, waterproof, rugged design that lets it survive almost any journey yet still slip easily into a backpack or laptop bag. Unless you're skydiving or mountain biking or doing something mortally irresponsible while filming it, most people wouldn't have a GoPro on their wishlist. But in my experience, the GoPro makes for a fantastic travel camera. It's ridiculously compact, it's ready for snorkeling and scuba diving with its waterproof case, and it takes great videos and photos. Above all, it's one of the easiest ways to capture wide-angle shots on your trips. Need some proof? Most of the photos I shot when I flew on the Singapore Airlines Suites was shot on an old GoPro. Can afford something better? I recommend the higher-end GoPro HERO5 Black retailing for $399. Ever walk past a passenger with earphones on an airplane and wonder how he's sleeping so peacefully? Well, wonder no more — he's probably wearing the Bose QuietComfort 20, the very best noise-cancelling earphones on the market right now. It's certainly not cheap at $249, but my goodness it makes an airplane sound like a library. Some other folks opt for the over-ear headphones model, the Bose QuietComfort 35, but I personally prefer the portability of the QC20 earphones. Frequent fliers unequivocally recommend the Travelpro Platinum Magna 2. At 22-inch, this model is suitable as carry-on luggage. It’s light, the wheels are built to last, and it’s big enough to easily fit a week's worth of clothes. Compared to other bags in this price range, you also get surprisingly high-end components and a warranty that covers anything (even airline damage) for the life of the bag. "What camera do you use?" is perhaps the most common question I get. If you were expecting a huge DSLR with an enormous lens, you couldn't be more wrong: I carry around a pocket-sized Sony RX100. But don't be mistaken — when Sony introduced the RX100 back in 2012, it was groundbreaking. It was the first tiny camera with a large, high-quality sensor. In many tests, it had comparable results with a much bigger DSLR. These days, I usually leave my DSLR at home and use solely my RX100 on 95% of my travels. The RX100 also comes in higher-end models such as the Sony RX100 III and the Sony RX100 V, retailing for $698 and $998 respectively.